Thank you, Maureen, for sharing Linny’s Sweet Dream List with your readers. I am very grateful! The book is a sunny, wholesome read. 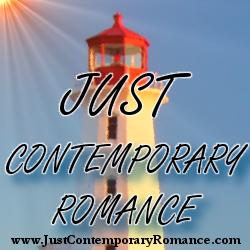 If you are ever overwhelmed by the bad news in the world, join me in Willow Hill, North Carolina where colorful characters are searching for - and finding - their happily ever afters. Linny’s car runs out of gas. Jack finds her stranded and offers to drive her home. “But, but…” Linny she slumped as he took in the run down aqua trailer. “It is,” she said crisply. “Not what you were expecting?” she asked, bristling. “Not exactly,” he said evenly. Linny watched him warily. She couldn’t bear any judgment from him. Her anger receded. He’d said just the right thing. She sighed inwardly. A van with lettering that read, ‘Flowers by Morgan’ crunched in behind them. Who was sending her flowers? “That’s me,” Linny said, and stepped from the truck. The smiling man handed her a vase full of colorful blooms. With a friendly toot of the horn, he pulled away. Of course he didn’t. Buck had used that same confused look when she’d questioned him about a credit card charge to Freida’s Frisky Boutique. Buck’s pained, you-don’t-trust-me speech left her feeling guilty. She said coolly, “Thanks for the ride.” Clutching the flowers, she turned and walked toward the trailer. Susan is a wife and stepmother. She enjoys weekend getaways with friends, reading fiction, and rummaging through thrift store and antiques stores for treasures like four dollar cashmere sweaters and amateur watercolor paintings. A dog lover, Susan has a special fondness for Lab mix rescue dogs. She and her family live in North Carolina where she is finishing up the third novel in the Willow Hill Series, Sweet Southern Hearts. Susan graduated from James Madison University in Virginia, and holds a master's degree from The University of North Carolina at Chapel Hill. She has used her professional background as a psychotherapist and management trainer to add authenticity to her characters. 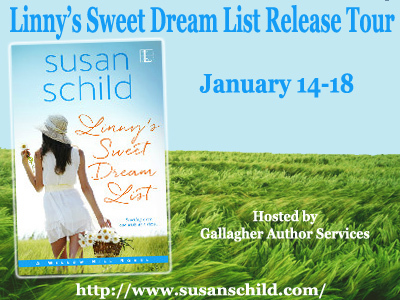 Thank you for writing about my new Southern novel, LINNY'S SWEET DREAM LIST!